At the end of February a small team from the Sentinel Project visited the Tana River District of eastern Kenya as part of our general election observation mission in the country. I had the privilege of serving on that team and want to outline here some of what we did, what we learned, and what this means for the Sentinel Project’s future. While we started out primarily with an interest in the risk of mass atrocities throughout Kenya as a whole related to the March 4 election, the country has so far remained stable following the vote, a delayed and error-prone tallying process, and the announcement of the disputed results. That doesn’t mean that Kenya is now free of risk but, as previously mentioned, we are cautiously optimistic about its future and the success of national peacebuilding efforts. 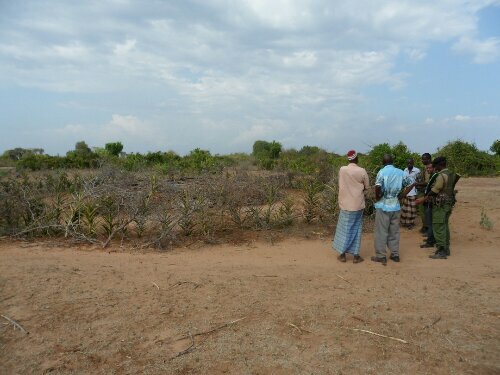 Places like Tana River, however, still face serious pressures which have driven localized ethnic violence in the recent past and are likely to continue doing so in the near future. This is why our team grew increasingly interested in Tana River as a series of skirmishes and small massacres unfolded there between August 2012 and January 2013. Tana River is home to a handful of ethnic groups, the largest of which are the Orma and the Pokomo. These two communities have been engaged in a form of low-intensity conflict for several months in what media reports often describe simply as tensions between land-owning farmers (the Pokomo) and semi-nomadic pastoralists (the Orma). However, these incidents – which have killed over 150 people and displaced tens of thousands more – go beyond mere competition for land. If anything, our visit to the area raised more questions than it answered as we discovered conflicting versions of events, unverified reports of arms flows into the area, accusations of foreign interference, economic pressures, and suspicions of political betrayal. During our time in the area, we met with local administrators and security officials as well as representatives from both the Orma and the Pokomo tribes during a series of meetings with elders and community members in several villages as well as tours of massacre sites. We heard not only from chiefs and religious leaders but also from internally displaced persons (IDPs) who have fled their homes and young men who represent the frustrations of others in their generation who have turned to violence. Sometimes we spoke, but more often we just listened, asking questions as we sought to better understand the conflict and what pushed some members of these communities to kill unarmed men, women, and children. The purpose of our Tana River visit was to essentially conduct a survey of the area and situation while assessing the possibility of a longer-term involvement for the Sentinel Project. Fortunately, while our findings left us concerned about the continuing risk of violence in the area and its potential to escalate, it also became clear that the Sentinel Project has an opportunity to play a role which reduces that risk, especially since the local population seems to trust NGOs possibly more than governmental initiatives. Such a program is still taking shape but one of the main ideas so far is to establish a trusted, neutral source of information which can help to dispel much of the rumour and intentional disinformation that we learned fuels violence in Tana River. Watch soon for more details on our plans in this area.